This lucky mom’s surprise 60th birthday party has been chosen as this month’s Featured Favorite, both for the darling decorations as well as the nerve of the two sisters who planned, plotted and pulled it off right under their mother’s nose. Guests were warned in the invitations to keep it a secret, but arrive at 6 p.m. for a summer cocktail party. The Bold Numbers birthday party invitations featured their mom’s birth year, 1952, and became perfect additions to the party décor. 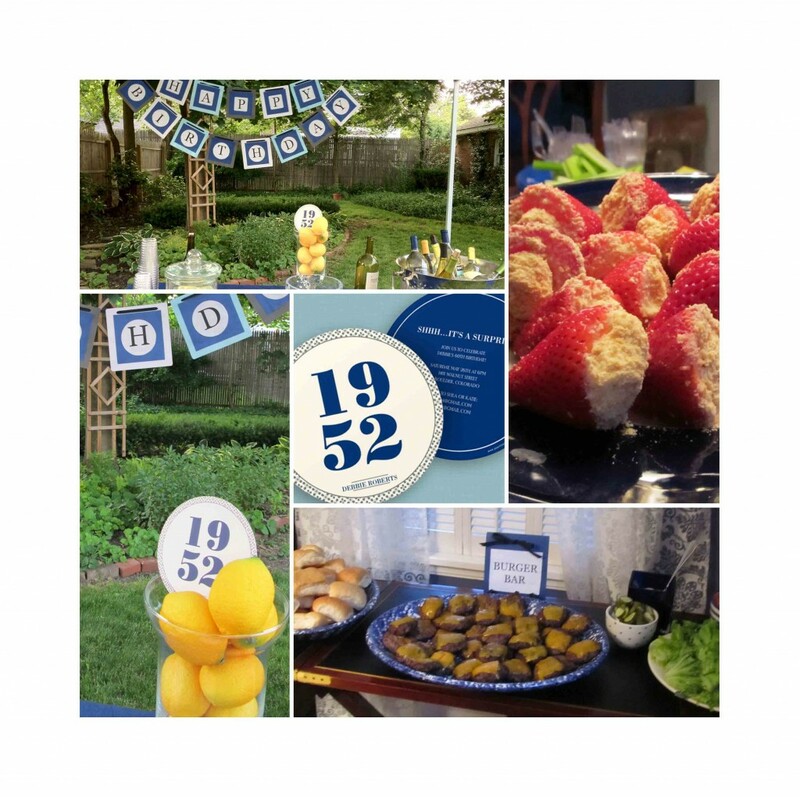 “When I host a party, I always use any extra invitations as decorations by displaying them throughout the party,” The blue, white and gray colors of the invitation were carried throughout all of the surprise birthday party ideas and decorations. “After the sun set, guests relaxed around a fire as the night came to an end. Everyone had a great time.” Thanks to your excellent planning, no doubt!